Part Romeo and Juliet, part anthropological essay, Lily King's Euphoria tells the story of three anthropologists studying native tribes in New Guinea during the 1930s. Nell Stone, a controversial and famous anthropologist, and her husband Fen are fleeing a cannibalistic tribe when they run into Andrew Bankston, a British anthropologist studying river tribes on his own. Lonely and suicidal, Bankston clings to the intelligent Nell and charismatic Fen, helping them to find a new tribe for their research. Nell and Fen are introduced to the Tam - a female driven, artistic river tribe. Here Nell studies the customs and values of the Tam while Fen, desperate to emerge from beneath the shadow of his famous wife, is focused more on antiquities than anthropological research. Tensions rise between the three anthropologists as Bankston and Nell draw closer to each other and Fen plots to commit an unforgivable crime with deadly consequences. Taut, sensual and beautifully written, this critically acclaimed novel is worthy of all the praise it received. 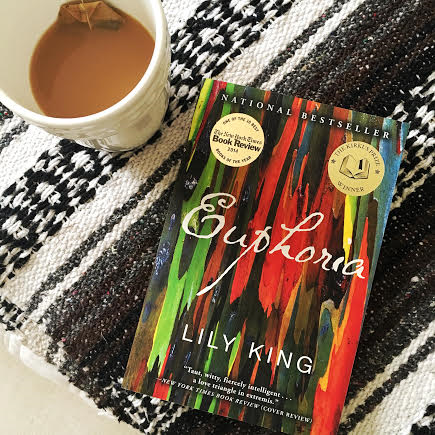 Lily King's novel, Euphoria, is sensual, riveting and brilliant. It was named book of the year by the New York Times, Vogue, Time and many other publications. This book truly is a stand out - but please allow me to warn you, it's not for everyone. What made this novel work for me was the beautiful language and descriptions of the native people by Nell and Bankston. Together they make the story beautiful, emotional and sensuous. Because this book is so beautifully and hypnotically written I rated it five stars - it is wonderful. Some readers may find this book slow to start, I believe that this is good. It allows for a gradual build up to the climax of the story and gives the reader a better sense of the characters. Fen is brooding and jealous, Bankston hopelessly romantic and Nell pragmatic and methodical. Euphoria is a masterfully crafted story about love, jealousy, science and the beauty that comes with understanding someone other than oneself. I found it to be uncomfortable - an emotion that I feel great literature should evoke from its reader - beautifully written and tragic. This novel isn't for the faint of heart - it is not a beach read or airplane book but it is a wonderful example of modern literature. Lily King grew up in Massachusetts and received her B.A. in English Literature from University of North Carolina at Chapel Hill, and her M.A. in Creative Writing from Syracuse University. 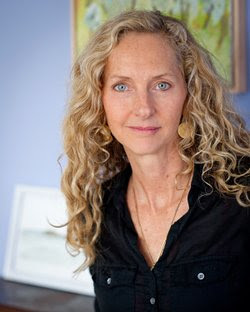 She has taught English and Creative Writing at several universities and high schools in this country and abroad.